Turning shipping containers into creative and sustainable homes is very popular overseas and the trend is starting to take off in South Africa too, as more and more local architects start realising the potential of what can be achieved. The most common misconception surrounding the idea of container living is that they are big, ugly and shabby, but this couldn’t be further from the truth! They can be incredibly sleek, stylish and practical – and that’s just one of many benefits! Park homes are ideal whether you are starting out as a first-time homeowner, or looking to downsize or retire. They can be modified to accommodate just one person or an entire family. In SA, the average house costs approximately R1 million. With shipping containers, a starter home can come in under R100 000! 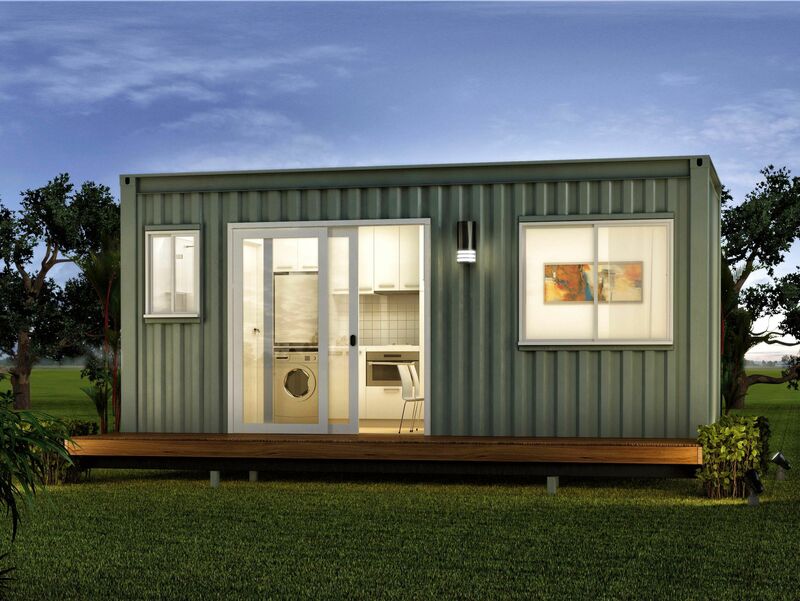 Once installed, container homes are easy to maintain at a low cost. Containers are demountable and transportable, so they can be relocated anywhere, anytime – this also makes them a viable instant space solution for social housing requirements and disaster relief accommodation. Can be manufactured and customised to fit your exact requirements. Due to being made from recyclable items, container homes have very little impact on the environment and is energy efficient. Homeowners can “go green” even further by installing solar panels, as well as insulation. The structures are tough, weather-resistant, and vandal-proof. They provide good air circulation. Container homes in South Africa still need to comply with building regulations. Therefore, similar to building with bricks and mortar, full architectural plans with council approval are required. Most banks won’t finance them, so you will either need to pay cash or take out a personal loan. Municipal permits are required for permanent fixtures. And considering the involvement of plumbing and electrical elements, you will need the relevant municipality to issue you with the correct documentation. If your container home is a non-permanent fixture, the applicable permits could vary according to your non-permanent building method, and alternative electricity and plumbing options. Either way, always check with your local municipality before you commence with building a container house.